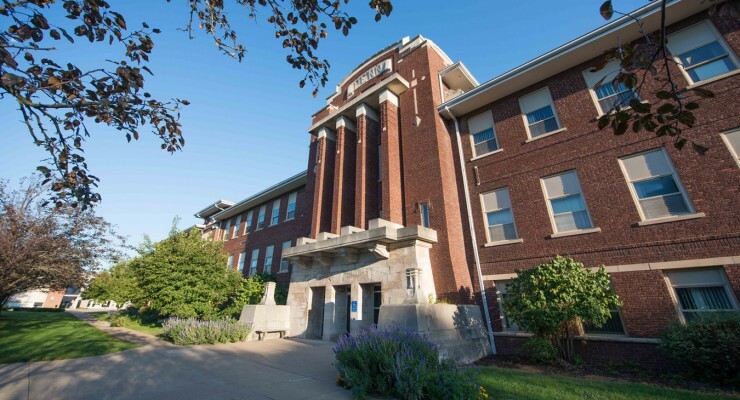 William Penn University’s Mathematics Department provides students with the problem-solving, critical thinking, and abstract reasoning skills they need to succeed in the professional world. Students get the one-on-one time and attention they need to really excel. The General Mathematics program offers students the opportunity to develop and acquire necessary undergraduate knowledge in a variety of related mathematics topics and essential skills to be utilized in changing environments through a mixture of problem solving, application, and fundamental theory. A secondary teaching endorsement and a minor in mathematics are also available. Our General and Applied Mathematics programs give our graduates the skills and confidence necessary to solve real-world problems, to succeed in a wide variety of careers, and to better appreciate the intrinsic logic of the universe. If a student is thinking about continuing on to graduate school, but would like to obtain real-world experience to enhance higher education capabilities, an internship will be a great opportunity to explore his or her chosen field. Internships provide great opportunities for networking and meeting other individuals in the chosen field. The Math Club is open to all William Penn students. Each year, club members organize trips to conferences and symposium, including the Undergraduate Symposiums, at the Argonne National Laboratory and an annual mathematics conference at Simpson College. A few members will have the chance to spend time working as tutors with fellow Penn students or Oskaloosa High School students to enhance their abilities in the field of mathematics. You will take the following courses as a student in the Applied or General Mathematics programs.